HomeBlogArticlesFresh vs. Frozen Produce: Which Is Healthier? If you only buy fresh produce when you visit the store, you may be missing out on some healthy and nutritious options. 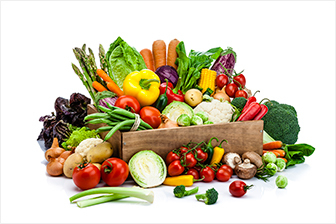 Many frozen produce items can be just as good, if not better, than their fresh counterparts when it comes to quality, nutrients, cost, and shelf-life. Be sure to include a mix of fresh and frozen items to get the most nutritional value. Picked and Packaged at the Peak of Ripeness – Produce items that are selected for freezing are harvested when they are their most ripe, unlike fresh items which are harvested early and then ripen on their way to stores. When they are ripe, fruits and vegetables provide the most nutrition. Once picked, they begin to lose moisture and their nutrient value decreases. By the time an item goes from picked to store to your home for a few days, it has likely lost a significant amount of nutritional value, while frozen items maintain their nutrients. Processing – Generally, most of a vegetable’s nutritional value remains the same during freezing. Some vitamins, however, can be affected by the blanching process. This is the first step for freezing vegetables, and involves the vegetable being put into hot water to kill bacteria and seal in the colour. Vitamin C and B can break down due to the heat, so frozen veggies are not the best source for them. Overall, the nutrients in frozen produce remain intact for around one year before degrading. Fruits Have Equal Benefits – Fruits aren’t often blanched before being frozen, so both fresh and frozen varieties have nearly equal health benefits. Fruits that must be peeled prior to freezing, such as peaches, may lose some of their fibre and phytonutrient content. Choose and Prep Your Ingredients Right – Some frozen fruits may contain added sugars, making them not as healthy as their fresh alternatives. Also, some vegetables, particularly those that come with sauce, contain high amounts of sodium, fat, and preservatives. 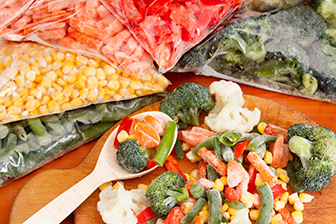 To help avoid further reducing the nutrient value of frozen foods, don’t thaw them prior to cooking, and opt to steam and not boil whenever possible. Learning the ways different food storage and preparation methods can impact their nutritional value, and your overall health and well-being can lead to you making better food choices for yourself and your family. The holistic nutrition course offered by the Edison Institute of Nutrition will help teach you the optimal food preparation methods, as well as which items provide the most significant nutritional values and benefits, allowing you to feel better naturally. Our classes are now online!